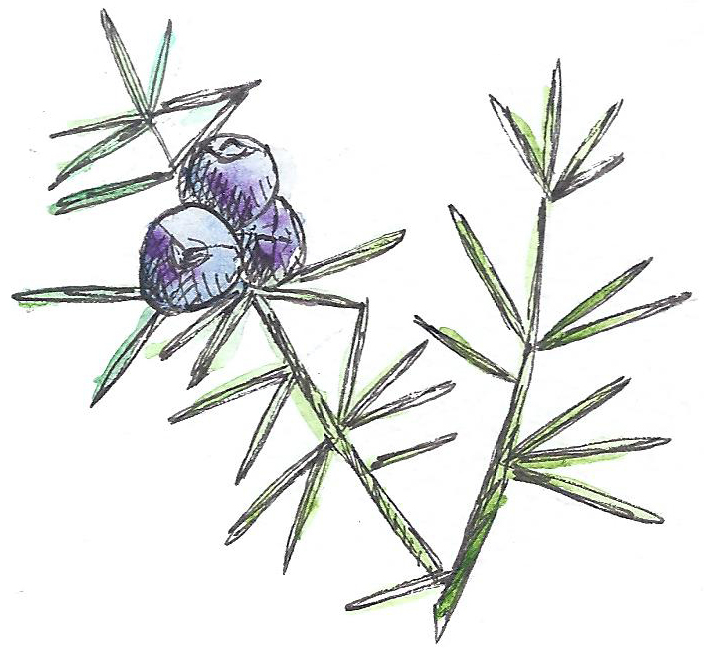 Botanically speaking, a juniper berry is not a true berry but the seed cone produced by various species of junipers, typically Juniperus Communis, an evergreen tree. They are unusually fleshy, which gives them a berry-like appearance. Juniper berries are used as a spice, particularly in European cuisine. 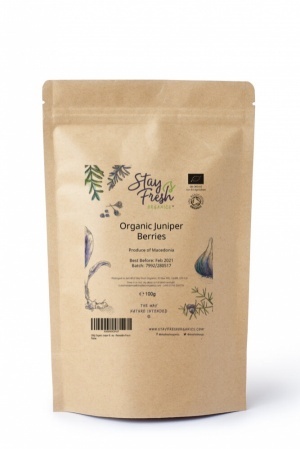 StayFreshOrganics' organic juniper berries are tart and sharp, with a resinous, piney flavour and hints of citrus. Use to flavour casseroles, marinades and stuffing. They also complement pork, rabbit, venison, beef and duck. They can also be used in sweet dishes such as fruitcake and provide the main flavouring for gin. They can also be used for their medicinal qualities.